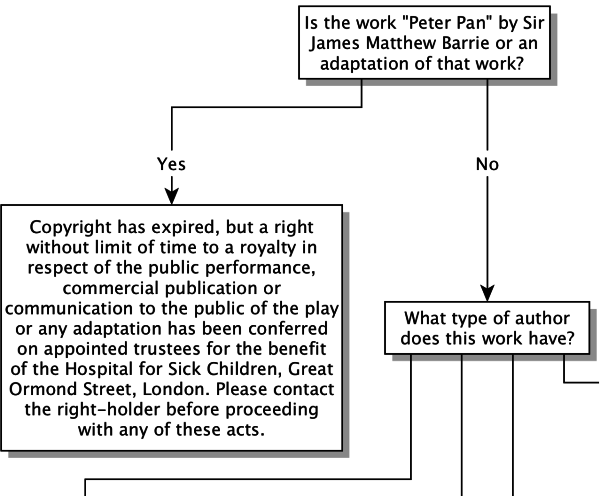 The proposal takes precedence from similar legislation in the UK, where the work ‘Peter Pan’ by Sir James Matthew Barrie has gained a special place in their copyright act (article 301). Pursuant to the article, royalties have to be paid to the Hospital for Sick Children in London prior to any public performance, commercial publication or communication to the public of the play or any adaptations may occur in the UK.++In other wordsThis is legalese for “you cannot use the work without permission”. Such work or author-specific legislation leads to a decrease of legal certainty, and an increase in difficulty to determine the public domain status of a work++OutOfCopyright.euTake a look at OutOfCopyright.eu for more information about why it is important to know the public domain status of a work. The flowcharts (see below) of OutOfCopyright.eu illustrate the unnecessary complexity of public domain-status determination when these special provisions are made into law., as well as a barrierWork or author-specific legislation leads to a decrease of legal certainty, and an increase in difficulty to determine the public domain status of a work, as well as a barrier to reuse of the work. to reuse of the work. The UK article diminished legal certainty for copyright in the UK and will, until revoked, be at odds with the situation in the rest of Europe. 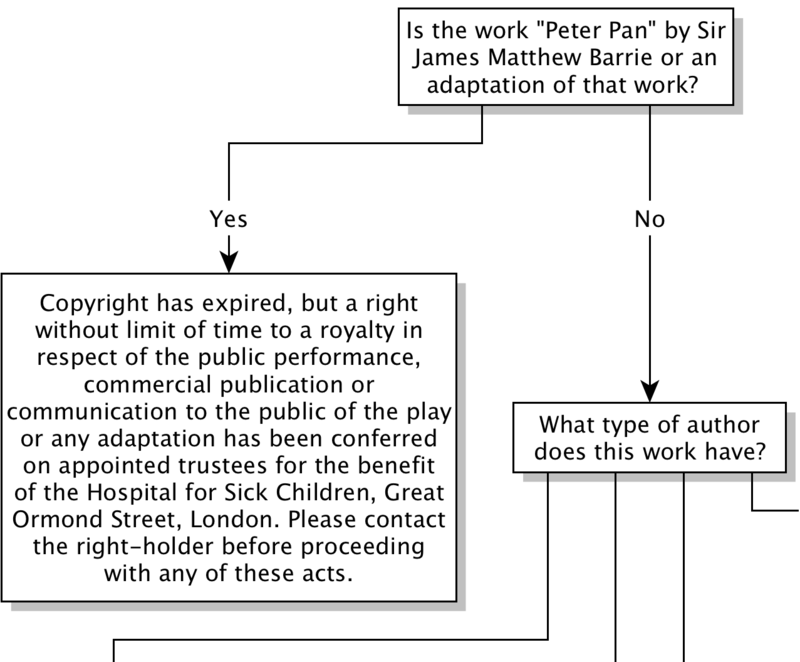 The flowcharts of OutOfCopyright.eu illustrate the unnecessary complexity of public domain-status determination when these special provisions are made into law. The Johan Cruyff Foundation has a charitable mission to get children active. The foundation does important work by organising projects for disabled children, and equipping playgrounds and primary schools. A mission I wholeheartedly support. 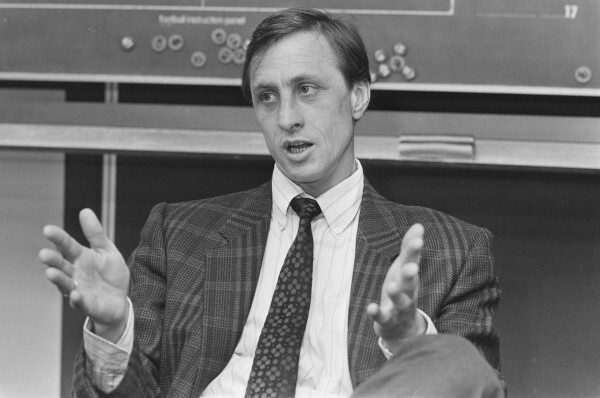 However the proposed remuneration to this foundation when using the name or portrait of Johan Cruyff should never be encoded in intellectual property laws.The proposed remuneration to this foundation when using the name or portrait of Johan Cruyff should never be encoded in intellectual property laws. With every additional requirement on top of copyright, like fair remuneration, a barrier to reuse is created. What is a fair remuneration in this case? These barriers will deter entrepreneurs and creative producers alike. Creating this special provision only harms the legacy of Cruyff in the Netherlands. Whereas for-profit publication with portraits of Cruyff can be created and distributed outside of the Netherlands, within the Netherlands you would have to jump through different hoops. The adoption of this proposal would only serve to hold back imagery of Johan Cruyff and his name in the Netherlands and will therefore only damage his legacy rather than strengthen it or the Johan Cruyff Foundation. Furthermore this proposal will expropriate the creators of portraits by Cruyff, limiting the options of exploitation and distribution of their work.This proposal will expropriate the creators of portraits by Cruyff, limiting the options of exploitation and distribution of their work. For example, what do we need to do with those portraits that are already shared under an open license that allows commercial reuse? Those that enrich Cruyff’s extensive Wikipedia article for example. How does Prof. Visser imagine that we deal with these images? It is not up to the legislator to promote the legacy of Cruyff.It is not up to the legislator to promote the legacy of Cruyff. 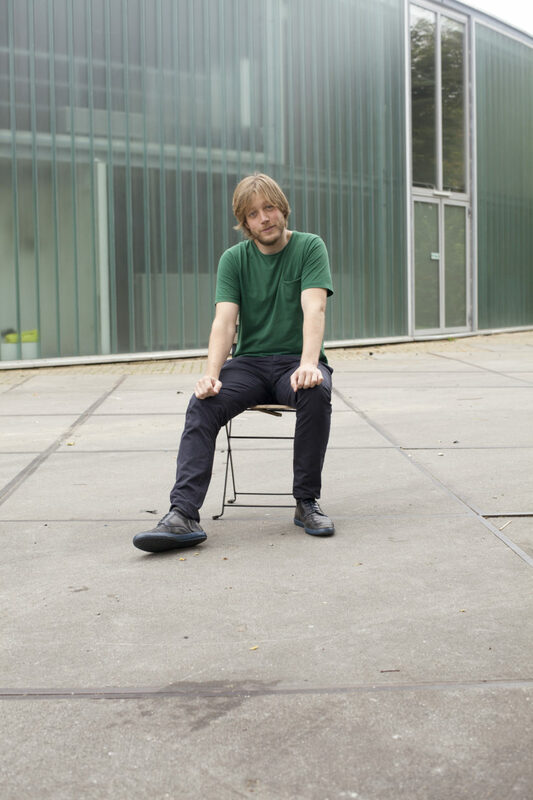 Prof. Visser should revise his suggestion and should encourage the creators of these portraits to share the material as widely as possible++Arnoud EngelfrietThe opinion by Mr. Arnoud Engelfriet suffers from the same problems.. Thereby creating the condition to give the most attention possible to Cruyff. This can lead to name recognition, which can subsequently increase donations++Please donateMake a donation to the Cruyff Foundation. to the Cruyff Foundation. A memorial coin would also be a good idea to honour Cruyff’s legacy. Prof. Visser intends to lobby the Dutch ministry of Safety and Justice and our members of parliament to gain support of his proposal. If you agree with Prof. Visser’s view, please send him a mail++Mail Prof. VisserAs per his request on ie-forum.nl. at d.j.g.visser@law.leidenuniv.nl, but include me (mz@kl.nl) as well. I look forward to discussing this proposal in detail.